I don't like this page that much, but I am so HYPED for the next 3(or so)! Did some last minute script rearranging, and brought a scene that I originally thought would happen much much later to... basically next week's update lol. By my estimates, I think we have abouttt 10 pages left of this chapter, but I'm trying to condense it. Also, I finished making the new cast page. 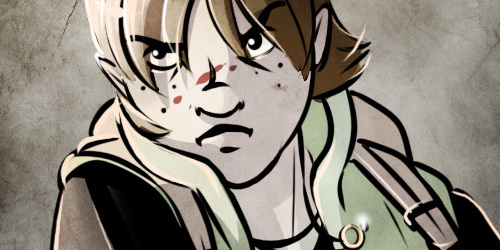 What it Takes is a post-apocalyptic action/adventure that follows Colbey O'Conner as she searches for her fiance in a harsh and violent wasteland. Her biggest clue to his location is the enigmatic A City in a Place. Can she make it there before King Arthur, who wants the City's resources for his own? Rated R for violence and profanity. 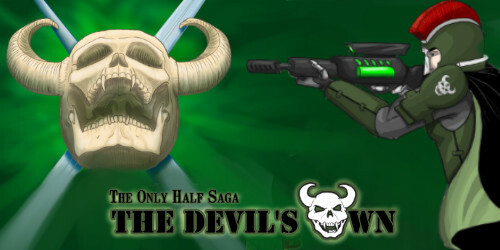 The Devil's Own - Dominic is second generation Devil's Own, a cadre of dhampir soldiers whose sole duty is to protect their vampire Lord, Damien, from threats within and without. When visitors arrive from the United Territories his world gets turned on its ear. Rated Mature for violence and language. 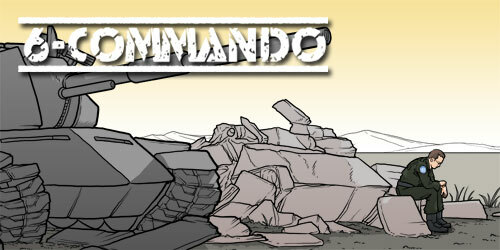 6-CommandoMike-One-Echo is a giant robotic tank designed to win an atomic war, but he wasn't supposed to start one. Programmed with the highest ideals of mankind and the weaponry to end civilization, he is now on a mission to execute one last program: to save as many people as he can - no matter whose side they're on - from the ravages of the war he started, and from themselves.